I have just installed Visual Studio 2010 Release Candidate on my brand new laptop. It failed to install. A brand new machine, a fresh copy of Windows 7, all 64 bit and the Release Candidate install fails!!! - Guess what guys? It's not ready yet, maybe some more testing.... turns out to be a known problem - unsurprising - I can't have been the first person to try to install it. Everything seems really responsive - I've most recently been using NetBeans which suffers from the usual Java problem of sluggishness when actually asked to do something. 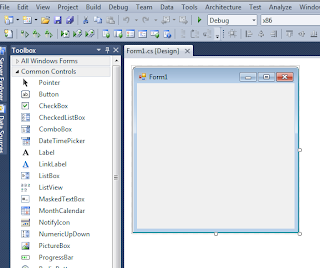 So we can define our Joob data model either textually or graphically, with full intellisense and autocompletion. So now I just need to brush up my VS skills and transition from Java to C# (how hard can that be? ), and I'll be (more) dangerous. You see more about what we're doing with JOOB and VS at the JOOB Facebook page or the website.